DeFever History - DeFever Cruisers: A Club for Yachting Enthusiasts with a Passion for DeFever Vessels and the Cruising Life! 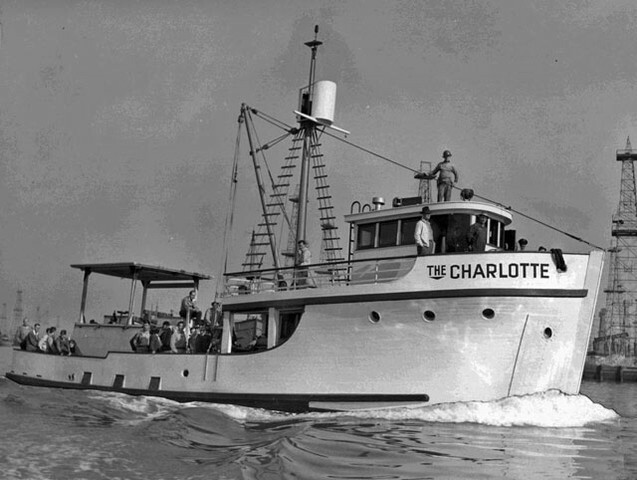 Arthur DeFever spent his early years designing commercial tuna clippers for the San Diego fleet. These vessels proved highly reliable and seaworthy. They stayed away from port for weeks at a time, traveling long distances to Central and South America before returning safely with their catch. 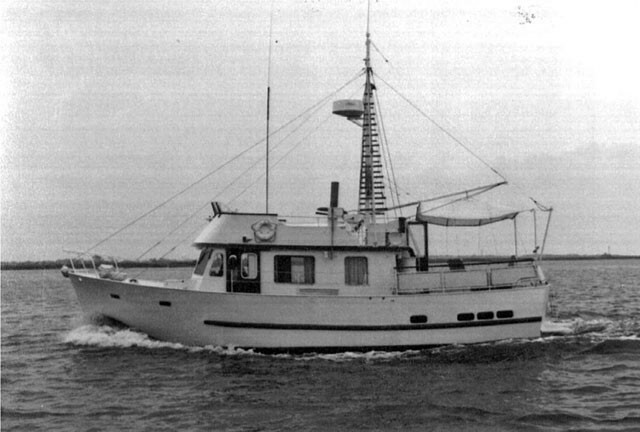 In the early 1960s, Arthur joined the Offshore Cruising Society. At the time, long range cruising in private yachts was virtually always done in sailboats. His friends suggested that he design a seaworthy cruising powerboat that would have sufficient range to make the long runs up and down the Pacific coast into Mexico or Alaska. So Arthur designed several pleasure craft for that organization in the 38 to 54 foot range. These were deep draft, full-displacement, diesel-powered vessels that were capable of prolonged Pacific passages in comfort and safety. Many were constructed of wood at the Lindwall yard in Santa Barbara. 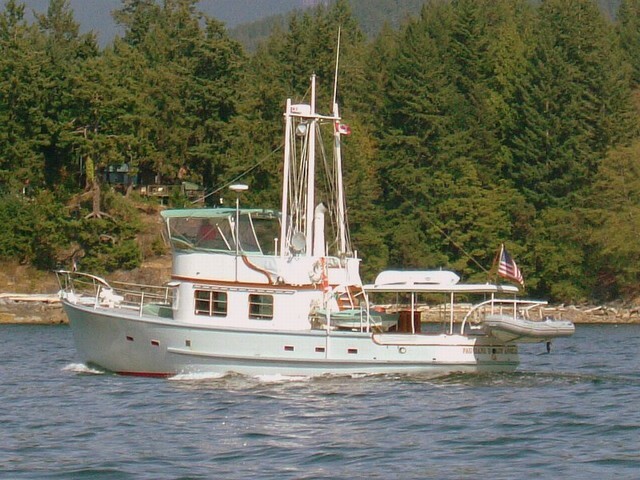 Several still cruise the Pacific coast including PAU HANA II, 1960 vintage, owned by DeFever Cruisers members. Over the next decade, many of Art's designs were constructed of wood and steel at the Oriental Boat Company in Japan, and a few of steel in Guyamas, Mexico. 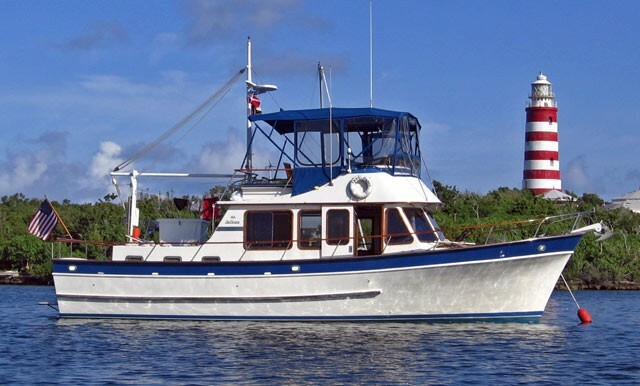 EMILY B is a wooden 50-footer owned by DeFever Cruisers members, currently living aboard, and cruising the Pacific Coast. Latest sighting was in Peurto Vallarta, Mexico. Arthur DeFever owned, and cruised, her sister ship, hull#1. In the 1970s, fiberglass became the preferred hull material for boat building. In many of Art's designs, single diesel power gave way to twin engines. He made appropriate modifications, but the characteristic swept sheer, high prow, and displacement hull form were retained. The popular designs of the past quarter century share a distinctive profile, which is a source of pride for owners. The DeFever Passagemaker 34, 40 and 43, the 44 Offshore Cruiser, 49 Raised Pilothouse, 52 Offshore Cruiser, and 60 Offshore Cruiser reflect this DeFever profile that yields excellent sea-keeping capability, interior room and comfort. The Passagemaker 34 and 40 were manufactured at Jensen Marine in California, while the others were built by CTF in Kaohsiung, Taiwan, and more recently, by POCTA in mainland China. During the mid-80s, the customer’s desire for increased speed led Art to design the 51 POC (Performance Offshore Cruiser). This was followed by the 47 POC, 53 POC and 57 Cockpit POC. All of these boats have simi-displacement hulls for increased speed using larger engines. These were built in the Sen Koh yard, Kaohsiung, Taiwan. Numerous other DeFever designs continue to grace the waterways of the world. 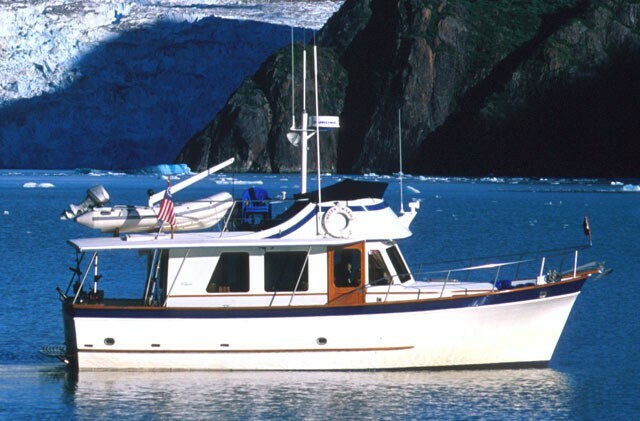 One very popular model among DeFever Cruisers members is the DeFever 41. 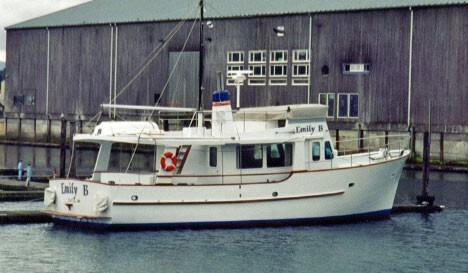 These were built in the 1980s, first by Miracle Marine Corporation (MMC), and later by Bluewater Yachts, both of Taiwan. One of his most recent designs is the Grand Alaskan 60, which can be extended to 64 feeet, and is manufactured at the Tania yard, Kaohsuing, Taiwan. These are capable of planing speeds when equipped with larger engines yet cruise comfortably and efficiently at 10 knots. Several new designs are currently in production. 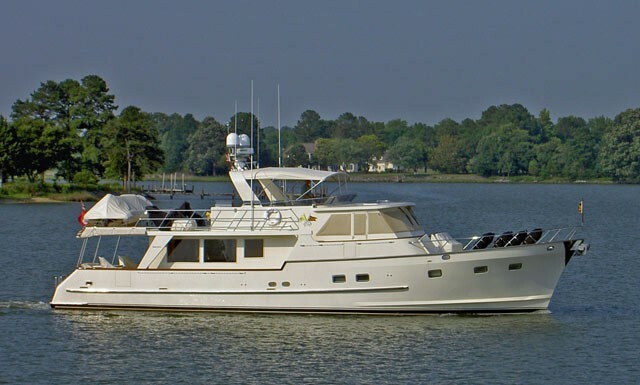 The very popular 44 Offshore Cruisers has been redesigned as the DeFever 45 After Cabin model. It is also available with a cockpit and is known as the DeFever 50 Cockpit. Plus there are beautiful raised pilothouse DeFever designs from 46 to 56 feet. Along with several megayachts and sailboats, Art's designs are admired for their traditional lines, sturdy construction, long range, sea-keeping ability, and practical layouts that make them perfect for extended cruising. 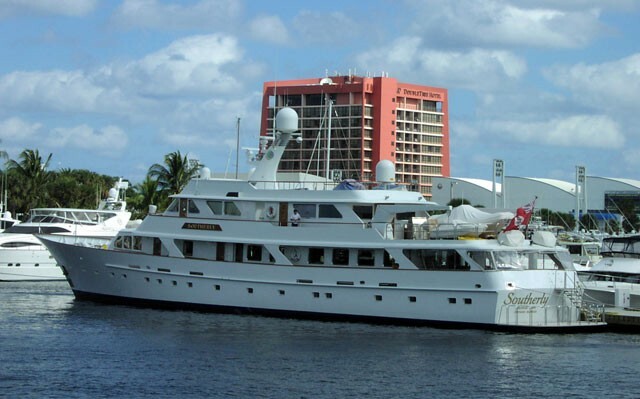 The megayacht, SOUTHERLY, is a DeFever design. A DeFever never looks outdated. And not a single one of them looks like a giant plastic basketball shoe. Arthur DeFever passed away in 2013. His designs live on.